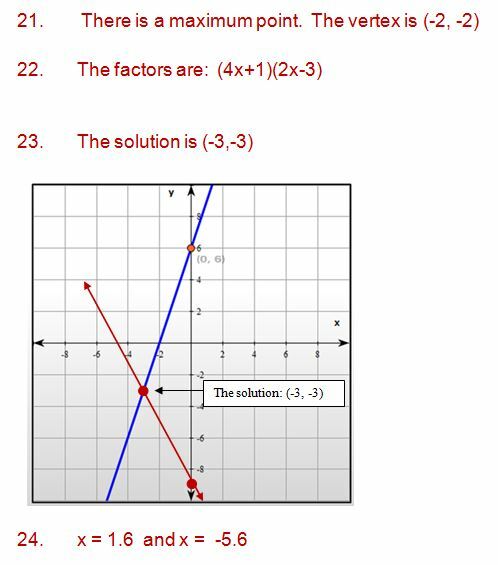 Making Algebra easier for you! Ever wonder how you are doing in Algebra 1? 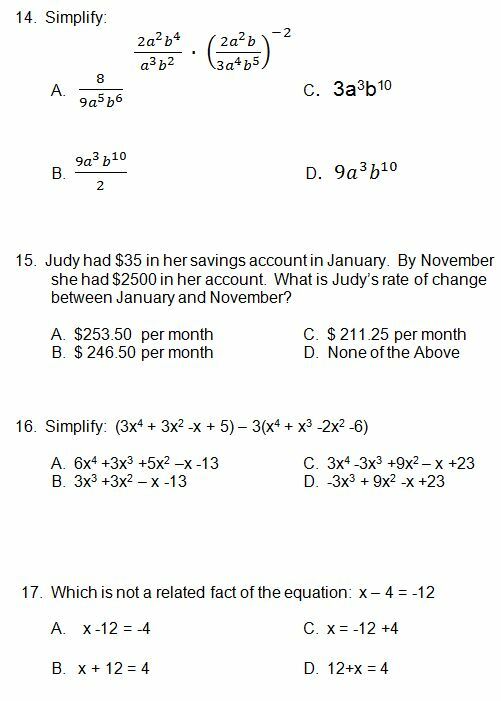 Or are you wondering if you remember Algebra 1 after many many years of being in high school? 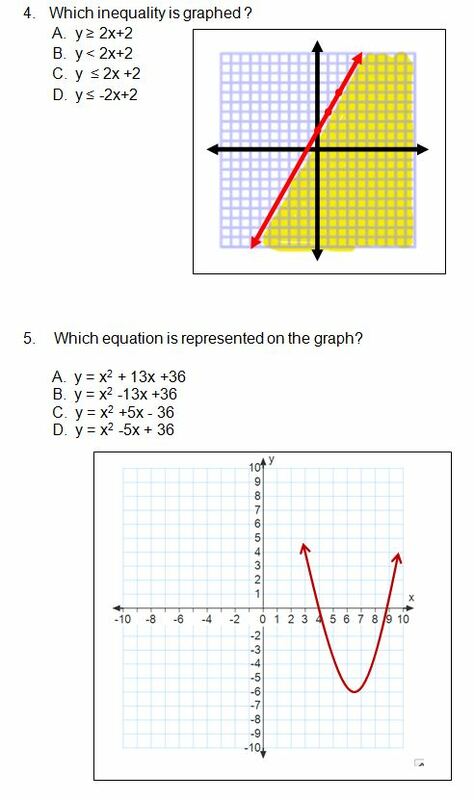 I've designed an Algebra practice test that will not only help you to practice your test taking skills, but it will also help you to identify your strengths in Algebra and the areas where you need help. 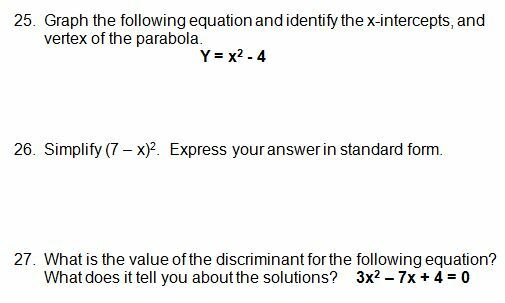 You will be tested on the following Algebra 1 units: Solving Equations, Graphing Equations, Writing Equations, Systems of Equations, Inequalities, Functions, Exponents and Monomials, Polynomials, Factoring, and Quadratic Equations. 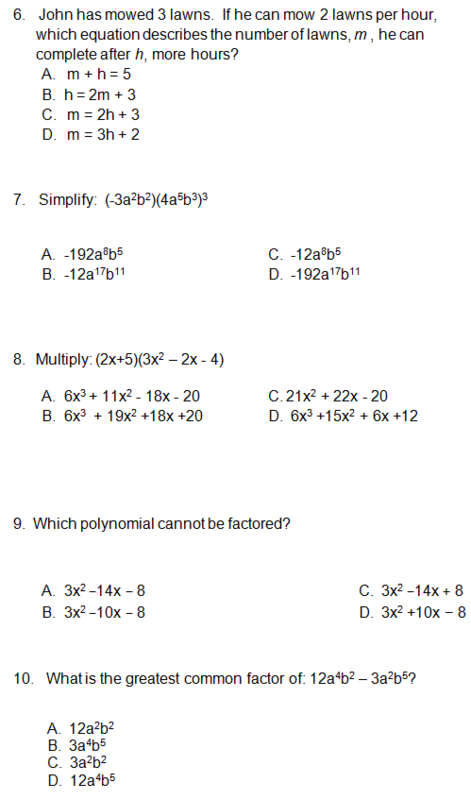 These are the ten units that are assessed in Algebra 1. Most of these questions are rather advanced. 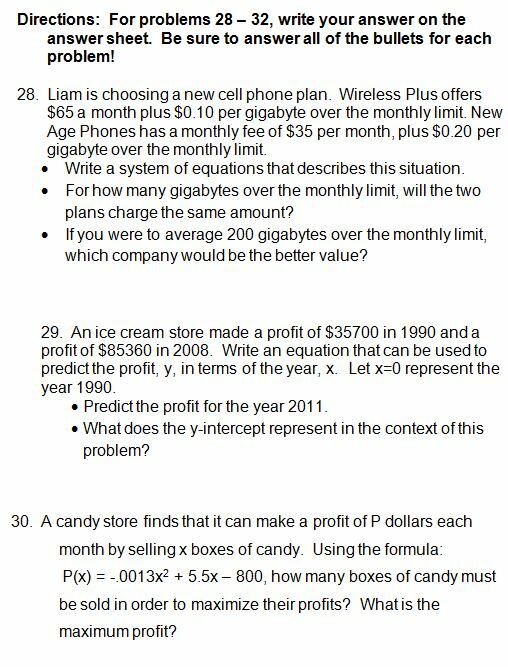 You should have completed an Algebra 1 course before taking this test. 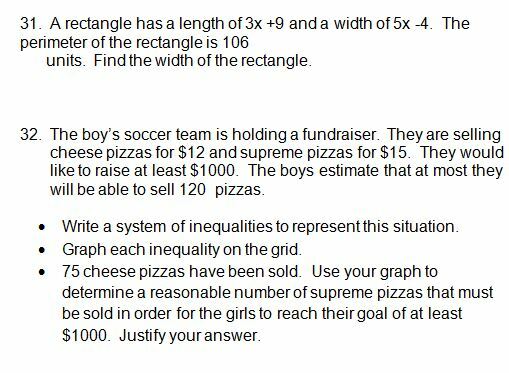 If you took Algebra 1 a long time ago, this will surely help you to understand what you remember and what areas you need to review. 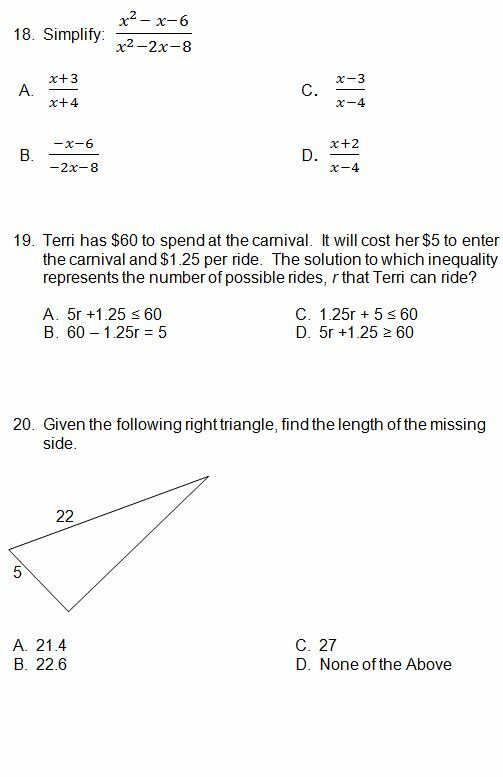 Take the test below and then check your answers with the answer key. At the end, there is also an analysis chart where you will be able to identify your strengths and weaknesses. 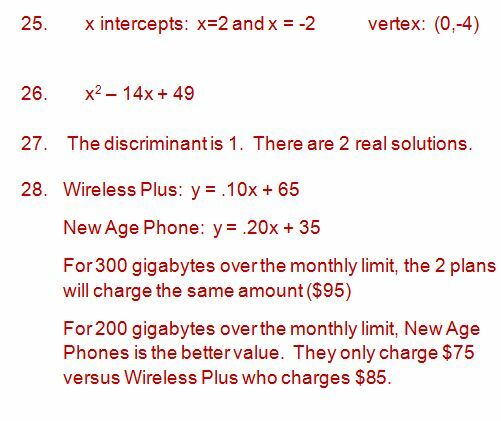 You can also print the Algebra Practice Test and it comes with your very own answer sheet. 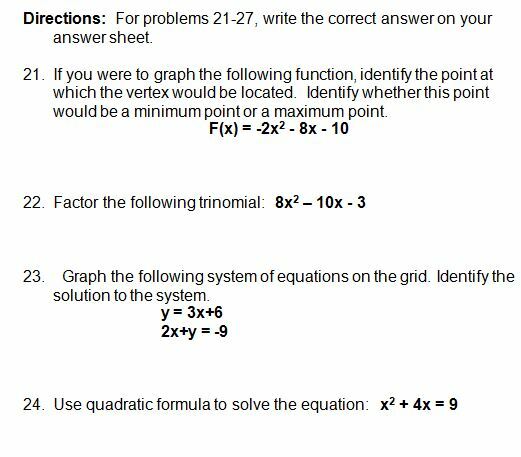 You can also get a step by step answer key to fully explain all problems. Are You Ready to Take the Test? Printable Version of the test. That wasn't too bad, was it? The hard part is over, now it's time to check your answers. So, how did you do? Let's analyze your results and see where you have strengths and where you may need to do a little more studying. Wondering Where You Made Your Mistakes? 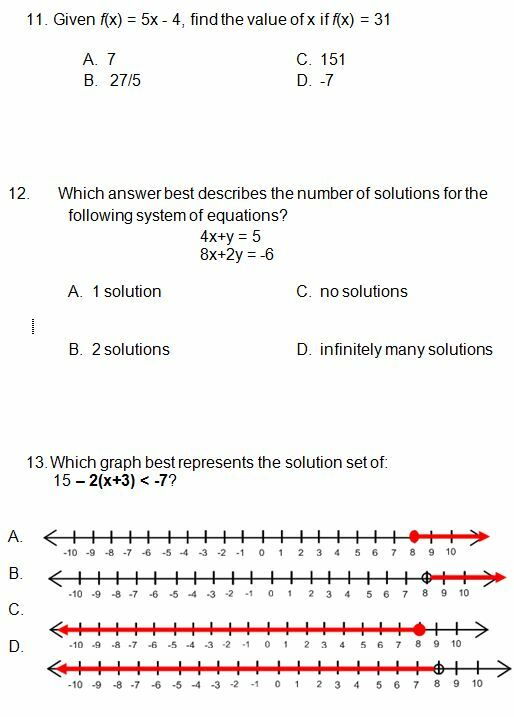 The detailed, Algebra Practice Test step-by-step answer key will help you identify the mistakes that you made with each problem. 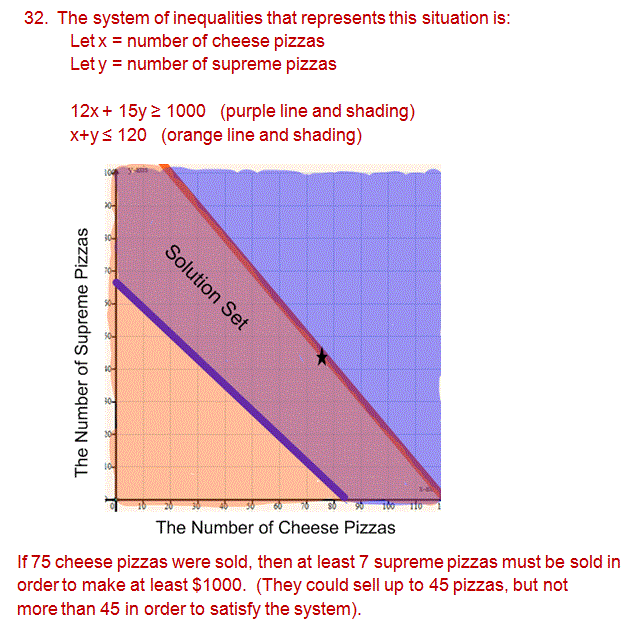 Each problem is explained in full detail so you will be able to identify the specific areas where you need made errors. Circle any numbers that were incorrect on the test. This will help you to identify areas of strength and specific topics that you will need to seek more help. 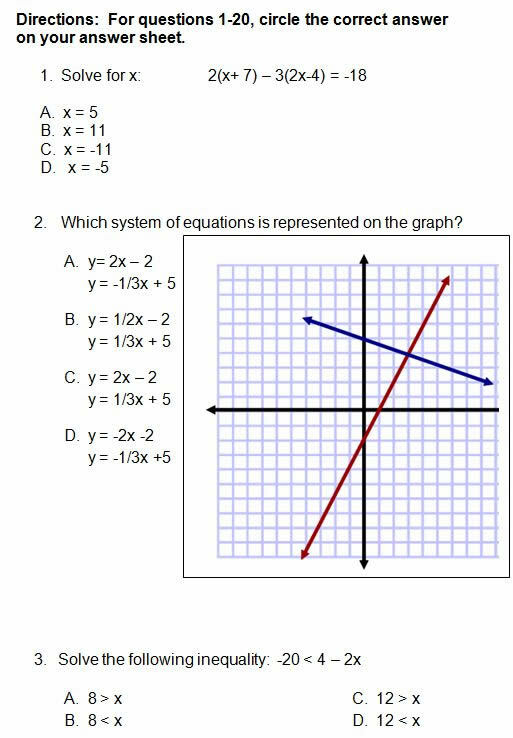 If you are really struggling with Algebra 1, you must check out the Algebra Class E-courses. You will have instant access to video examples, practice problems, and detailed step-by-step solutions to all problems. We would love to hear what you have to say about this page! Copyright © 2009-2018 | Karin Hutchinson | ALL RIGHTS RESERVED.